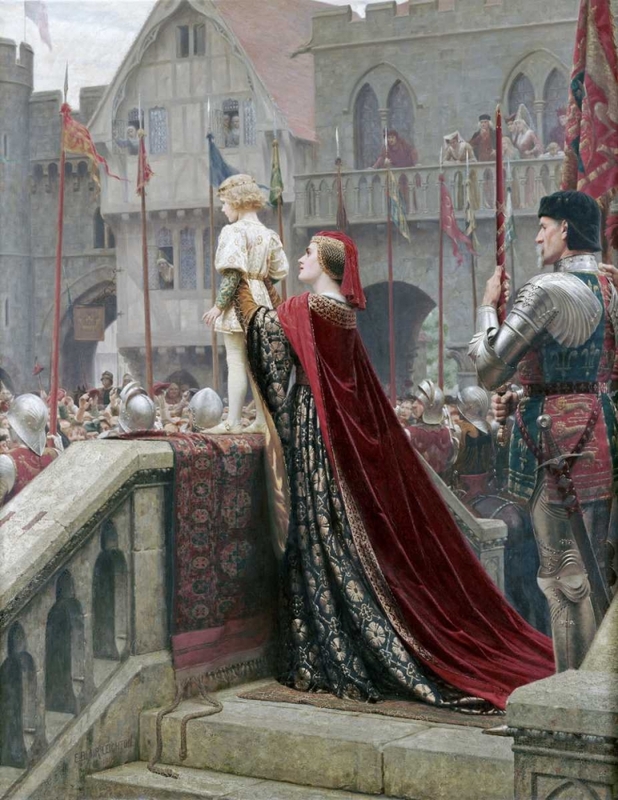 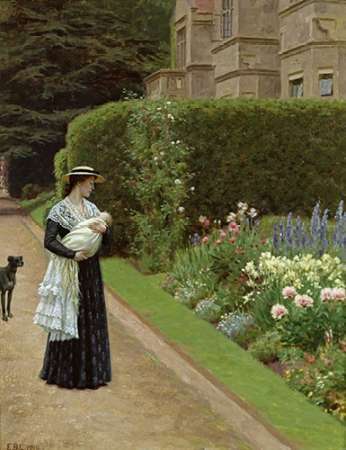 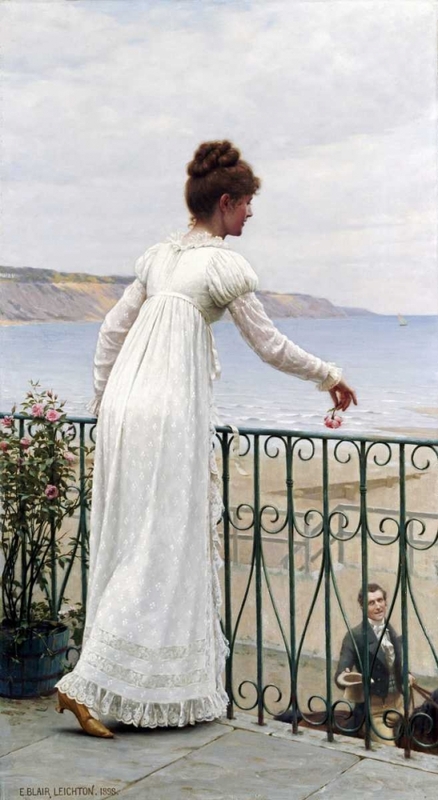 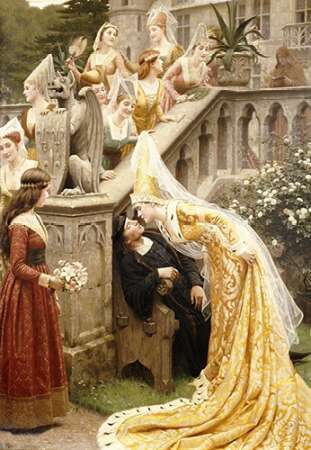 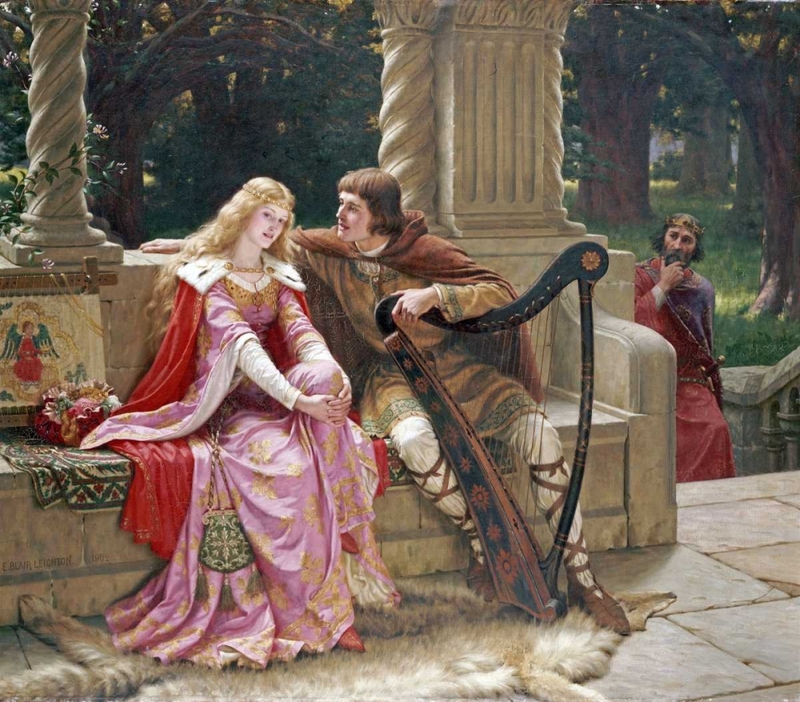 "Edmund Blair Leighton (1853-1922), was born in London as the son of a professional painter, Charles Blair Leighton. 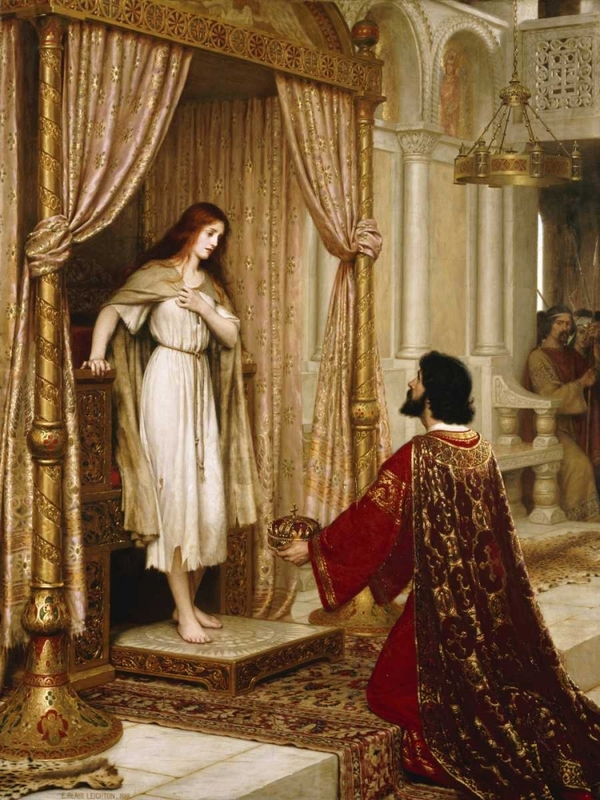 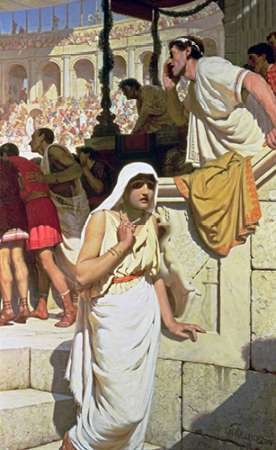 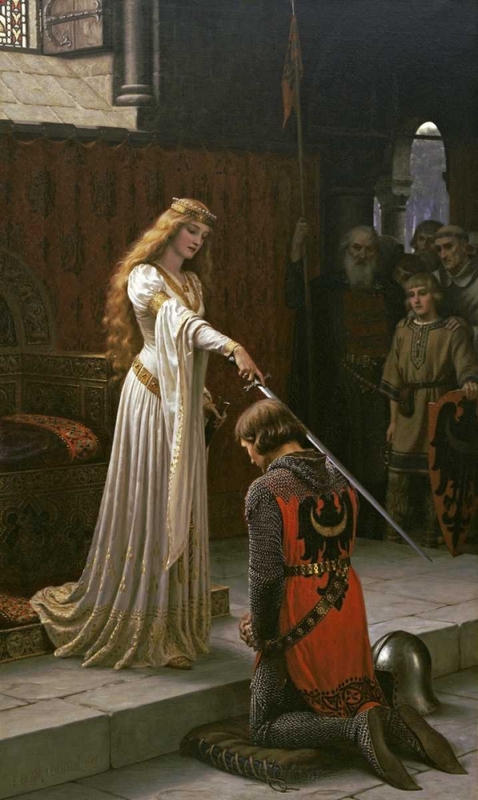 He studied at the Royal Academy Schools, where he later exhibited between 1878 and 1920 and he also exhibited frequently at the Suffolk Street Gallery.Leighton was a painter of historical classical genre. 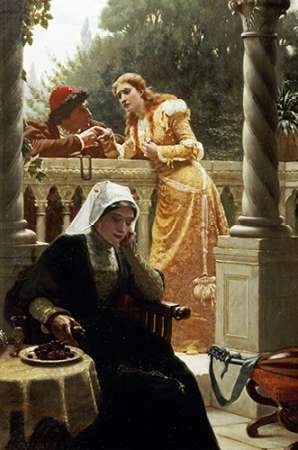 Initially, he portrayed medieval historical subjects until the 1880s, when he and two other contemporary painters, Quiller Orchardson and Marcus Stone, were inspired by the Regency style of 1810-20.Together, these artists portrayed the nostalgia of the pre-industrial golden age, by depicting elegant ladies in charming landscapes or interiors and their paintings became enormously popular amongst those who benefited from Industrial Revolution.Leighton worked predominantly in oil and his work was later extensively engraved."